GMO Corn Found in Humans Creates a “Living Pesticide Factory"
Monsanto insisted that there was no reason to worry about insects developing a resistance to their genetically-modified Bt corn that was created to break open the stomachs of certain insects and kill them, despite the fact that a scientific advisory panel had warned the EPA that the threat was high. Had the EPA taken this information seriously and forced Monsanto to take the steps necessary to prevent this occurrence, fewer crops would have been planted. Instead, this threat is said to potentially be the biggest one to any genetically modified crop in the U.S., with billions of dollars at stake. More importantly, the health of many Americans is also threatened. When this pesticide-producing corn entered our food supply in the late 1990s – both Monsanto and the EPA insisted that it would only harm insects. However, over the past decade, there have been “horror stories piling up,” according to the Huffington Post. The agency meant to protect consumers and the world’s largest genetically modified food producer swore that the Bt toxin that is produced inside the plant would be completely destroyed in the human digestive system and would have no impact whatsoever on consumers. But not only were they wrong in that Bt does produce resistant “super-pests,” researchers are discovering that it can have devastating effects on human health. When testing the blood of both pregnant and non-pregnant women at a hospital in Quebec, this dangerous toxin was found in 93 percent of the pregnant women and 80 percent of the umbilical blood in their babies, as well as 67 percent of non-pregnant women. Scientists believe that it could lead to a number of problems within the digestive tract as well as autoimmune diseases, learning disorders in children and food allergies – and as the Huffington Post article notes, all of these same health problems are on the rise. These frightening findings are just another important reason to avoid GMO foods at all costs. This includes not eating such things as processed foods, fast foods or anything that contains high fructose corn syrup. Your best bet, when it comes to optimal health, is to choose USDA Certified Organic foods including meats. It is best to steer clear from products that contain corn, soy, canola or their derivatives as the majority of these so-called “foods” in production today are genetically engineered. Previous articleIs This Type of Yogurt Bad For You? 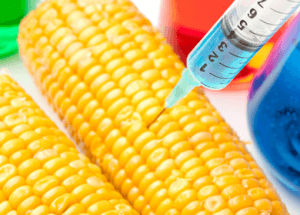 Hey Buddy!, I found this information for you: "GMO Corn Found in Humans Creates a “Living Pesticide Factory”". 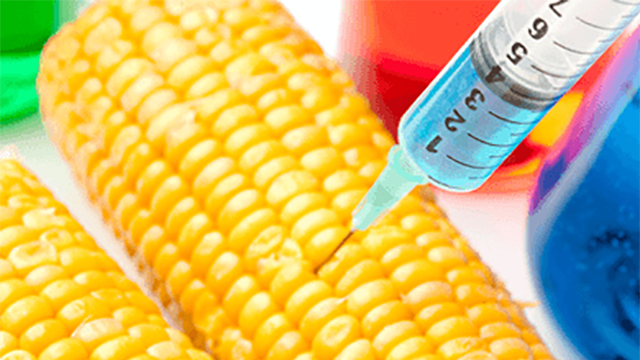 Here is the website link: https://www.thealternativedaily.com/gmo-corn-found-in-humans-creates-a-living-pesticide-factory/. Thank you.